One of the fundamental issues in computer science is ordering a list of items. Although there are many sorting algorithms, different sorting algorithms can be used in different scenarios. This paper presents an enhanced version of selection sort. Efficient selection sort is an enhancement on selection sort by making it a slightly faster sorting algorithm because it overcomes the limitations of the existing selection sorting algorithm. The new algorithm is analyzed, implemented, tested, and compared and the results are promising. Bubble Sort, Complexity, Efficient Selection Sort (∃SS), Selection Sort, Sorting Algorithm. 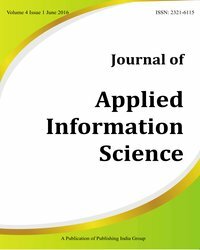 J. Alnihoud, and R. Mansi, “An enhancement of major sorting algorithms,” The International Arab Journal of Information Technology, vol. 7, no. 1, pp. 55-62, January 2010. I. Flores, “Analysis of internal computer sorting,” Journal of the ACM, vol. 8, no. 1, pp. 41-80, January 1961. J. W. J. Williams, “Algorithm 232: Heap sort,” Comm. ACM, vol. 7, no. 6, pp. 347-348, June 1964. A. Andersson, and S. Nilsson, “A new efficient radix sort,” In Proceeding of the 35th Annual IEEE Symposium on Foundation of Computer Science, pp. 714-721, 1994. V. E. Castro, and D. Wood, “A survey of adaptive sorting algorithms,” Computing Surveys, vol. 24, pp. 441-476, 1992.